This next Friday and Saturday are the days appointed by the Chincoteague Volunteer Fire Company for the 2018 Spring Round-Up. The ponies "run wild" on the Chincoteague National Wildlife Refuge almost year round, with the exception of the Fall and Spring Round-ups, and Pony Penning week in July. The two "compartments" the ponies are kept in, north and south, on separate days. The south area is much smaller, and has fewer herds to gather; they are usually taken in on Friday. The north area is taken care of on Saturday. The two-day round-ups, normally in April and October, are done for the health of the ponies. Noses are counted, and those missing are searched for. Each equine's general health is assessed by the CVFC veterinarian, who is on-call for the ponies every day and every minute of the year. Needed vaccines are administered, teeth are floated (if needed), and hooves are trimmed (also, if needed). This year, there are - at this point in time - five new foals known for the CVFC ponies.Ken has sired two chestnuts with Kimmee Sue and Dreamer's Gift; Hoppy has a bay with Doc Amrien; Prince has a palomino pinto with Catwalk Chaos; and Legacy has a buckskin pinto with Shy Anne (aka Half'n'Half). CLG Wild Star has not been seen recently, and it is hoped she'll be found during this round-up. Usually on Saturday morning, the previous summer's Buy Back foals are re-released back onto Assateague. 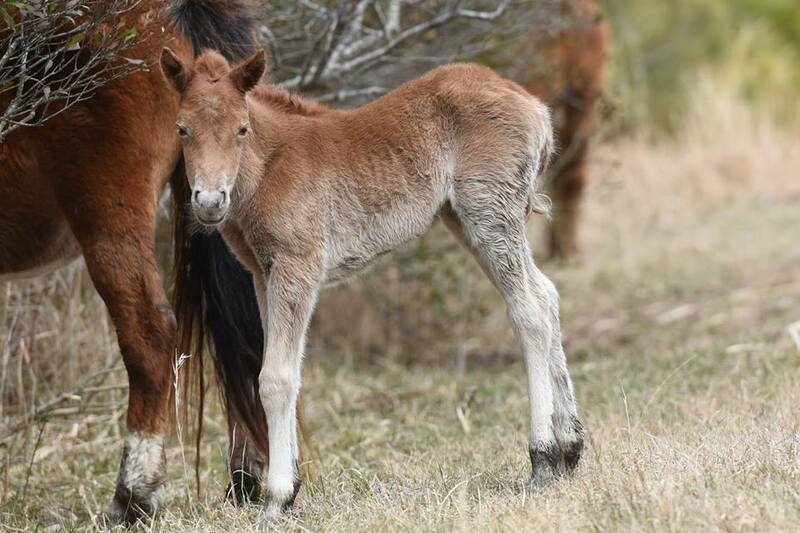 This year, several older Chincoteague ponies, who were donated to the CVFC for breeding purposes, as well as a couple of youngsters, will also be turned free. The week of Pony Penning will happen July 21 through 27 on both islands. The ponies will make their annual swim from Assateague to Chincoteague on Wednesday, 25 July. The Pony Auction will take place on Thursday, 26 July. The return swim to Assateague will be on Friday.